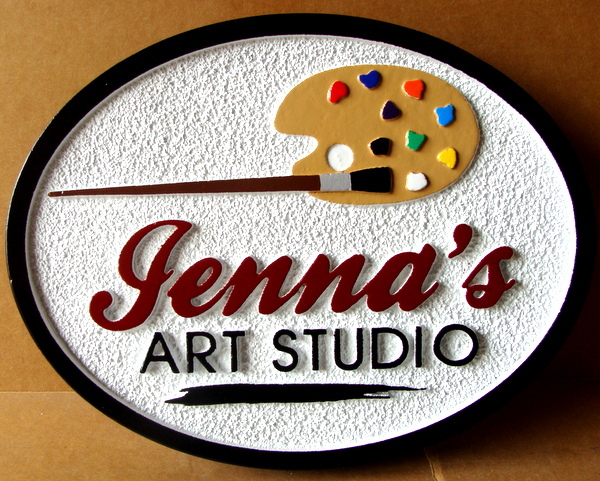 Above is a carved, high density urethane sign made for an artist's studio. The sign has been lightly sandblasted to create a sandstone texture. This sign features a painter's pallete carved in raised (flat relief). The sign has been painted with long-lasting automotive-grade enamels and clear-coated twice, making it suitable for either indoor or outdoor use.